There are three regular sessions a year in the Osaka City Council, as well as extraordinary sessions, which are held whenever necessary. The Mayor convokes council sessions. Extraordinary sessions must be convoked by the Mayor when demanded by the President with a decision of Assembly Steering Committee or by a quarter or more of the councilors. The City Council deliberates in a conference format, and its decisions are made by majority vote, according to the basic principle of democracy. Major sittings consist of the Plenary Session and committee meetings. Plenary Sessions must be attended by all city councilors. Final decisions of the City Council are made during the Plenary Session. Adoption or rejection of bills submitted and the council’s stance in relation to such bills is ultimately decided at the Plenary Session. The Steering Committee is established by the resolution of the Plenary Session. The Steering Committee confers the proceedings of the Plenary Sessions and important matters regarding the City Council itself such as petitions and appeals. It is virtually impossible for each and every bill to be deliberated on at length during the Plenary Session. For this reason, the committee system was introduced to utilize the expertise and experience of councilors by allowing them to efficiently examine various issues in small groups. 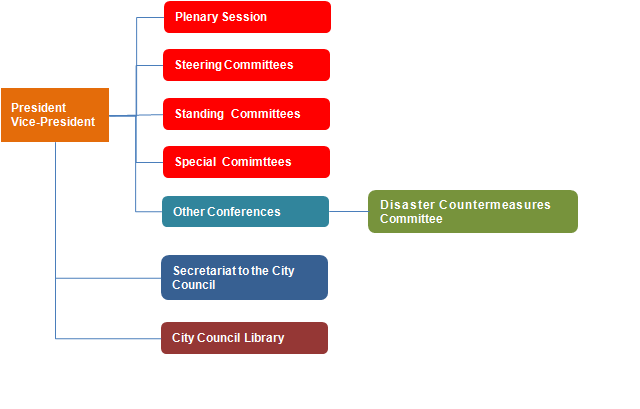 The Osaka City Council has six Standing Committees. All councilors must be appointed by the President to one of the Standing Committees. The Standing Committees examine referred bills and other issues, and possess the authority to investigate items within their jurisdiction. Special Committees are established by resolution of the Plenary Session for the examination of specific bills and investigation of various issues. The committees are disbanded after completing their examination and investigation of the referred issue. 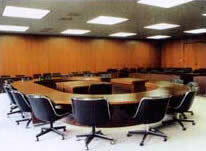 An Account Settlement Special Committee is established twice a year. The Disaster Countermeasures Committee was established to create temporary and permanent countermeasures related to various disasters.